Shares in the world’s second-largest engine maker slid 12 pct on a warning of flat revenue and profit. Falling defence budgets are no surprise, so it’s unsettling that Rolls couldn’t have guided the market down gradually. Management must now over-deliver on cost-cutting pledges. 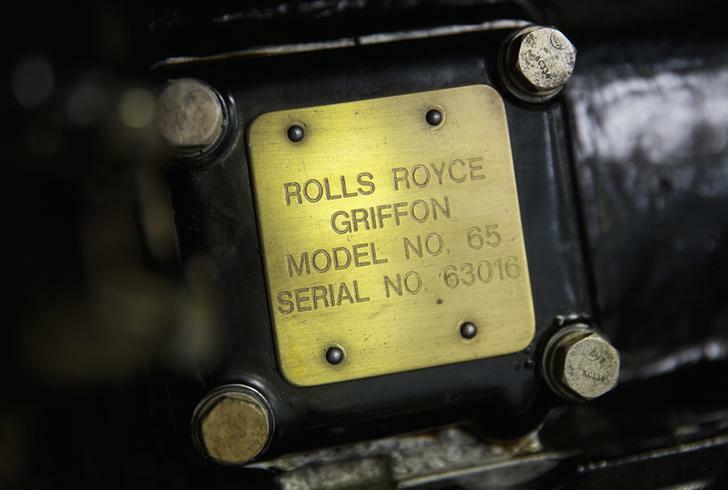 A detail of a Rolls-Royce engine from a historic Supermarine Spitfire is seen at the Aircraft Restoration Company in Duxford, southern England. Shares in Rolls-Royce were down 18 percent in lunchtime trading on Feb. 13 after the UK engine maker said revenue and profit would be flat in 2014. The warning related to the impact of shrinking military budgets on the group’s defence business. Profit in the group’s civil aerospace, marine and power units was expected to grow, the group said. In 2013, Rolls-Royce’s order book increased by 19 percent to 71.6 billion pounds. Underlying revenue rose by 27 percent to 15.5 billion pounds while underlying pretax profit increased 23 percent to 1.76 billion pounds.